Marcia Schmidt Blaine is an advocate for higher education and has shifted from purely academic work into administrative challenges. Starting her academic leadership roles as Faculty Speaker and Department Chair, she earned a year-long Fellowship with the American Council on Education in 2015-2016 to study models of academic leadership. After returning to Plymouth State, Blaine led the campus’ struggling museum to its current reorganized and flourishing state. She currently serves as Executive Director of Government Relations and Special Projects. Blaine’s research focuses on two aspects of history: the development of American identity in the eighteenth century and the America’s historical relationship with landscape, specifically the White Mountains. Along the northern edge of English settlement, families found themselves involved in late colonial international, intercultural, political, and imperial disputes. Individuals at the front line of contact successfully negotiated cultural and political boundaries in the tense times leading to the final North American imperial confrontation. New Hampshire Historical Society Strategic Planning, Collections subcommittee, 2018-present. New Hampshire Historical Society, Editorial Board for Historical New Hampshire, 2017-present. Statewide 65 x 25 Committee to increase post-secondary attainment in New Hampshire to 65% by 2025, 2017-present. NEASC (NECHE) interim report, Report Project co-lead, 2017-2018. American Council on Education Professional Development Committee, 2017-present. EAB Student Success Collaborative Campus/Navigate, Campus Sponsor, 2017-present Chair, Retention-Persistence Working Group, 2017-present. Society for College and University Planning, Institutional Direction Academy, 2017-present. Campus Leader and New Hampshire representative, Complete College America Purpose First nation-wide initiative, 2016-2018. Organized New Hampshire Statewide Summit on Complete College America, November 2, 2017. Taking the Lead: Women and the White Mountains, exhibit catalogue. Plymouth, NH: Museum of the White Mountains, 2016. “Picturing the Past: A Short History Of Plymouth State,” with Louise Samaha McCormack. p.6-17. In Plymouth State University. Plymouth, NH: Plymouth State University, 2014. Passing Through: The Allure of the White Mountains, exhibit catalogue. Plymouth, NH: Museum of the White Mountains, 2013. “The Public Forest: Joseph B. Walker, Philip Ayres, and the White Mountain National Forest,” chapter in Beyond the Notches: Stories of Place in New Hampshire’s North Country. Sponsored by the Monadnock Institute of Nature, Place, and Culture (2011). “Dover Physicians and Progress toward Professionalization, 1780-1850,” Historical New Hampshire 64, No.1 (Summer, 2010): 3-26. “The Johnsons’ Plight: The Role of Captivity on Anglo-American Identity,” History: A Journal of the History Association 94:1, No. 313 (January, 2009): 53-73. Director, “WMNF Centennial,” $10,000 from the federal government to sponsor the 2018 exhibit. Museum fundraising, $250,000 anonymous donation for special projects and student fellowships, 2016. Director, Campbell Online development, $49,000 private donation to launch long-term project. Director, “Taking the Lead: Women and the White Mountains,” 2016. New Hampshire Humanities grant, $10,000. Consultant and scholar advisor, “Thomas Cole National Historic Park Planning Grant,” project for the Thomas Cole National Historic Park, New York. Grant through the National Endowment for the Humanities, 2012. “Taking the Lead: Women and the White Mountains,” exhibit at the Museum of the White Mountains, April 7-October 7, 2016. Author of catalogue text, humanist, co-curator, and director of grant-funded project. Museum director, 2015-2017. https://www.plymouth.edu/museum-of-the-white-mountains/files/2016/02/Taking_the_Lead_Catalog-FINAL.pdf. “Passing Through: The Allure of the White Mountains,” Exhibit at the Museum of the White Mountains. 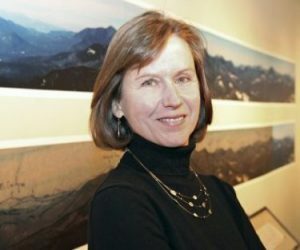 Author of catalogue text, humanist, curator, and researcher, Winter 2013. https://www.plymouth.edu/museum-of-the-white-mountains/files/2013/02/passing-through-catalog.pdf Historian, curator, humanist and writer. “As Time Passes over the Land,” Exhibit at Karl Drerup Gallery, Feb. 8-April 14, 2011. Historian, curator, and writer. http://www.plymouth.edu/museum-of-the-white-mountains/exhibitions/as-time-passes-over-the-land/ Wrote exhibit didactics and catalogue text. Researched and curated White Mountain paintings for the exhibit. “Protecting the Forests: The Weeks Act of 1911,” Exhibit at Silver Cultural Arts Center March-April, 2010. Traveled the state through 2011 as part of the Centennial Celebration of the Weeks Act. Humanist, author and historian. http://www.plymouth.edu/gallery/weeks-act/116/the-weeks-act-of-1911/Researched and wrote exhibit text. Researched and chose exhibit photos and graphics with co-researcher. Worked with designer to create exhibit.